Most of the time when there is a new driver release by Nvidia or AMD there are specific games that have been optimized for performance and stability. That is not the case this time around. 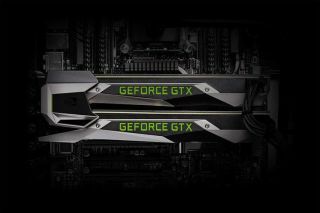 Nvidia's latest WHQL driver release, version 376.33, is primarily aimed at making things more secure all around. "This version adds several security improvements," Nvidia states in the release notes. One of those security improvements is a registry bug that could allow malicious software to gain administrator level access in Windows 7 and Windows 8/8/1. That alone is reason enough to install this latest driver release, though if you're wary of updating drivers so soon after release, give it a day or two to see if anyone complains of unusual behavior. Install the Display Container via co-installer. Corruption in YouTube video playback when two or more videos are playing at the same time. Clean up the escape calls that use physical addresses. NV-ESC-ID_NVAPI_REPORT_WFD_HOTPLUG and NV_ESC_ID_NVAPI_ENUM_DISPLAYIDS_EX don't validate the size of input, causing a KERNEL_SECURITY_CHECK_FAILURE. CNVL_ESC_ID_COMMON_REGISTRY_ACCESS escalates user privileges when the registry is accessed. The only other notable change this driver package brings is it disables the SLI profile for Titanfall 2.